I have an old, but very functional Homecraft (by Delta a division of Rockwell Mfg.) 8" table saw. It needs a good home (and a new base and motor). I want to make sure it goes to someone who appreciates what they are getting in this day of alloys and plastic. It was my father's and I just don't have room for it. 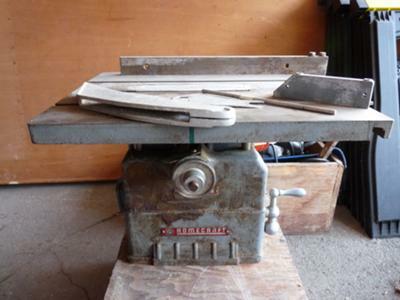 If you know of a good home for my saw, please e-mail me at hegjmg@visi.com. I'm located in Minneapolis, so a local pickup would be best--the saw is just too heavy to ship.